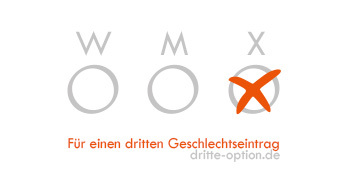 As announced on August 3rd, 2016 Germany’s Federal Court of Justice (Bundesgerichtshof) rejected an appeal to have the gender option ‘inter/divers’ (X) introduced into a birth certificate. Accompanied by the advocacy group Dritte Option (Third Option), Vanja had requested a respective modification of their birth certificate at the registry office in Gehrden, Germany in July 2014. The request was forwarded to the district court in Hanover where it was rejected. Vanja and the advocacy group submitted a complaint to the appellate court in Celle that, too, rejected it. Consequently, they took the complaint to the Federal Court of Justice, the highest appellate court in Germany for civil and criminal cases. The Court rejected the complaint on June 22nd, 2016. Whereas in its ruling the Federal Court of Justice acknowledges the existence of individuals who are not represented by ‘male’ or ‘female’ – i.e. at present the only available categories in the German birth register, passports, etc. – it stipulates that there is no need and no legal ground for the introduction of a third gender option. The Court states that such a third option would rather be of a “declaratory” nature and that it suffices that intersex individuals can resort to the possibility to have their gender description removed from the birth register (and that parents may decide to leave the category ‘gender’ of their intersex children blank). While the possibility to erase an existing gender description from the birth register – a clarification of the recently modified § 22 Section 3 PStG that was provided by the appellate court in Celle with regard to Vanja’s case – constitutes a success in the struggle to overcome the binary of legal gender, it is not sufficient in order to guarantee intersex and other non-binary individuals the constitutional rights to human dignity, freedom of the person and legal equality. The advocacy group Dritte Option considers the Court’s ruling inconsistent. 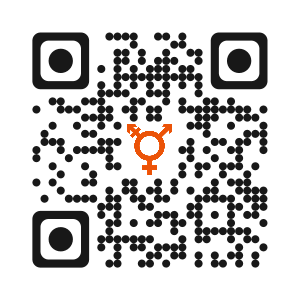 The Court itself highlights individuals’ right to have their gender identity recognised and respected but makes a distinction between transgender people who have – finally – been granted the right to change their gender description in official German documents from ‘female’ to ‘male’ and vice versa, and intersex and other non-binary people who shall be denied the right to a category reflecting their gender identity. The advocacy group Dritte Option fights for a third gender option that is open to everyone, and its selection to be exclusively based on the decision of each individual. It has received support from numerous individuals who are awaiting the official recognition of their gender identity – the Court’s ruling constitutes a blow for all of them and others in Germany and beyond. In other countries, similar struggles have been already successful – like in Australia, for example – or are under way, as it is the case in Austria. Furthermore, these efforts for a third gender option in official documents draw on and support the decade-long work of intersex organisations fighting for self-determination and bodily integrity of intersex people, especially with regard to operations on intersex children without their consent. Vanja and the group Dritte Option have announced that they will challenge the ruling of the Federal Court of Justice. On September 2nd, 2016, they will submit a complaint against the ruling to the Federal Constitutional Court (Bundesverfassungsgericht), supported by a demonstration in Karlsruhe. The ruling of the Federal Court of Justice (in German) can be found here: http://dritte-option.de/wp-content/uploads/2016/08/anonymisierter-BGH-Beschluss-1.pdf.